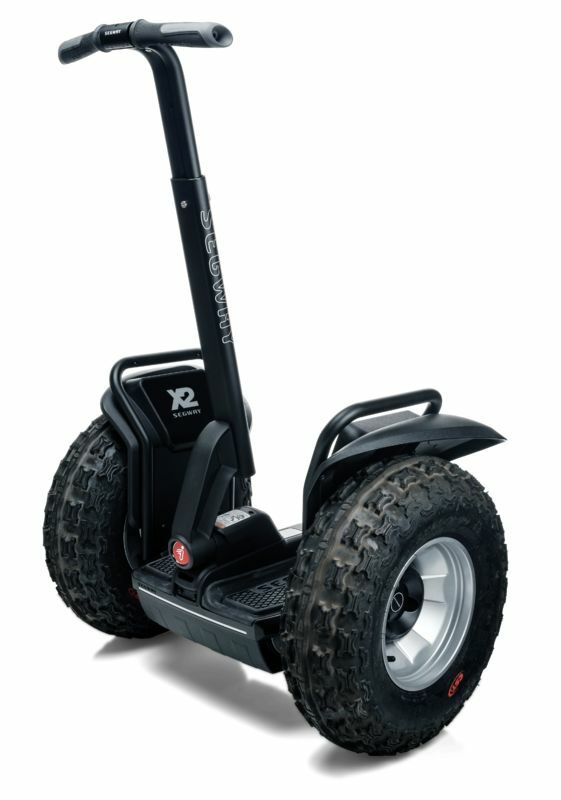 Enjoy the road less traveled with the Segway® x2 SE. It's rugged, tough, and designed to take you places. With the x2 SE, you can chart your own course. Its innovative design moves you over a variety of terrain, be it the grass in your backyard or the gravel and dirt in your favorite off road spot. Deeply treaded tires, scratch resistant fenders and higher ground clearance give you a smooth, stable ride, and the durability you've come to expect from Segway. And with the unmatched performance of Segway's LeanSteer technology, your body will anticipate and conquer the trail ahead.